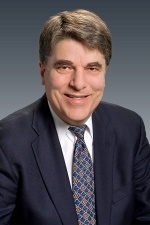 Michael is a versatile finance executive with over 30 years of experience providing leadership for both ongoing operations and strategic transactions including interim CFO/COO support, acquisitions, spin-offs, reorganizations, fundraisings, start-up operations, business plans, and SEC filings. He has strong leadership skills, creative problem solving and analytical abilities, a detailed hands-on approach, and an adaptability to new situations. After starting his career in public accounting at Arthur Andersen, Michael became a Finance Manager at Esterline (Criton) Technologies before becoming the Corporate Controller at Cell Therapeutics. After leading the financial aspects of a successful IPO and follow-on offering at Cell Therapeutics, Michael transitioned into consulting. Over the years he has been responsible for daily operations at several companies including accounting, financial reporting, operations, administration, HR, tax, legal, IT, investor relations, treasury, risk management, payroll, banking relations, budgeting and forecasting, and Board reporting. 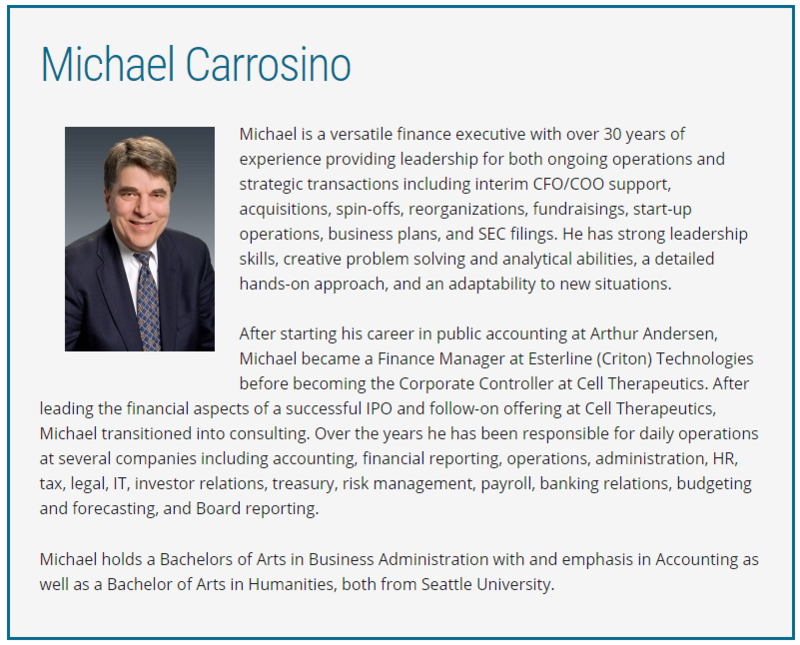 Michael holds a Bachelors of Arts in Business Administration with and emphasis in Accounting as well as a Bachelor of Arts in Humanities, both from Seattle University.